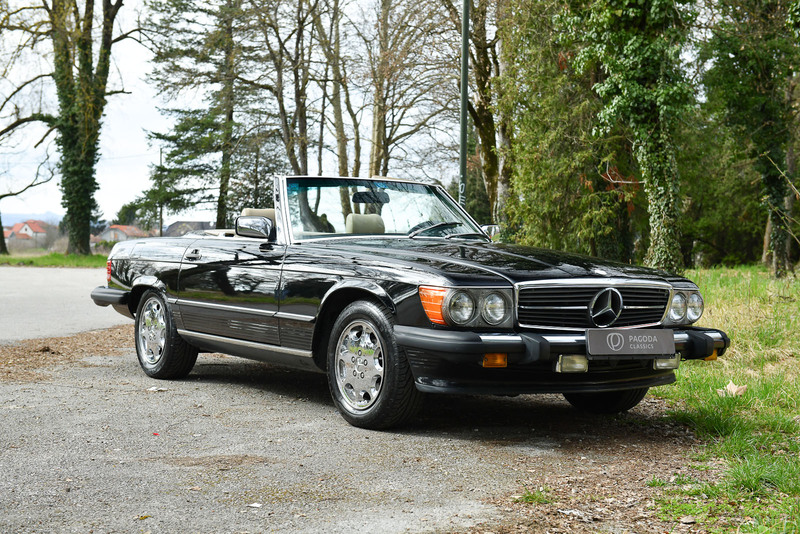 Based on the venerable R107 platform, the Mercedes-Benz 560 SL was first introduced in 1986 exclusively in the U.S., Japanese, and Australian markets. 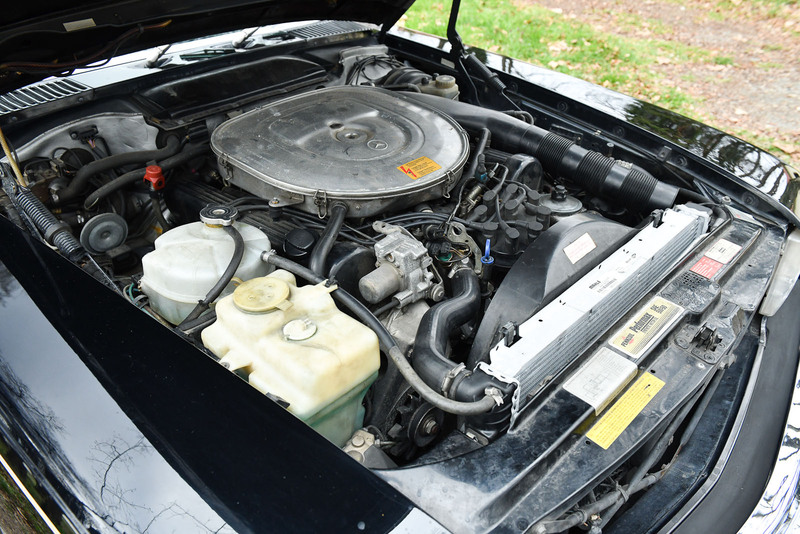 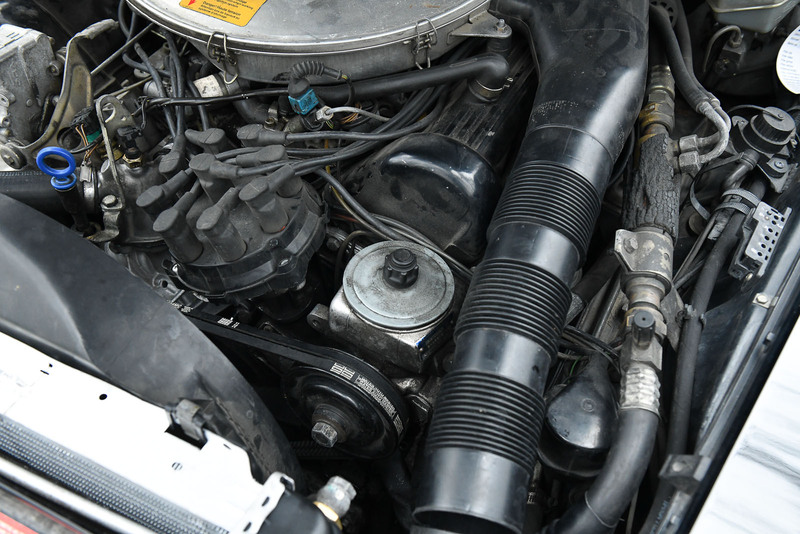 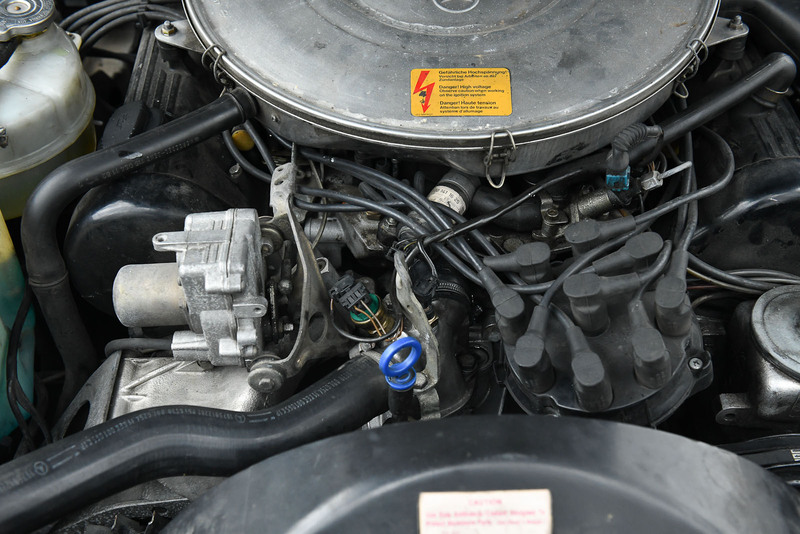 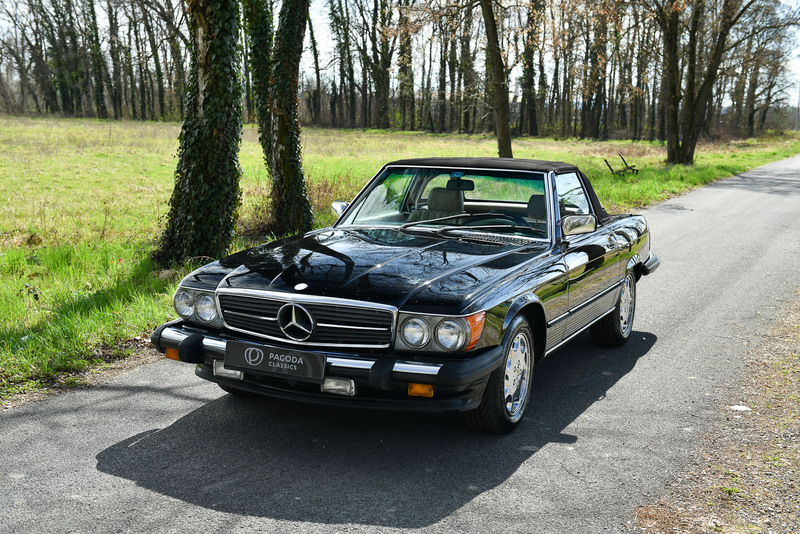 It offered the most powerful engine found in any SL during the 1980s, a 230-hp, 5.5-liter V-8. 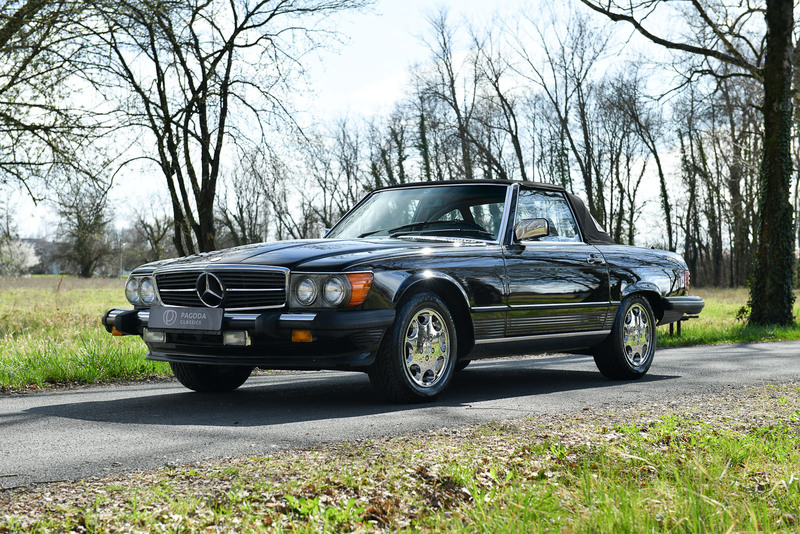 This enabled the 560 SL to achieve a top speed of 240 km/h and accelerate from 0-60 mph in about 6.5 seconds, both slightly faster than previous SL models despite the increased weight. 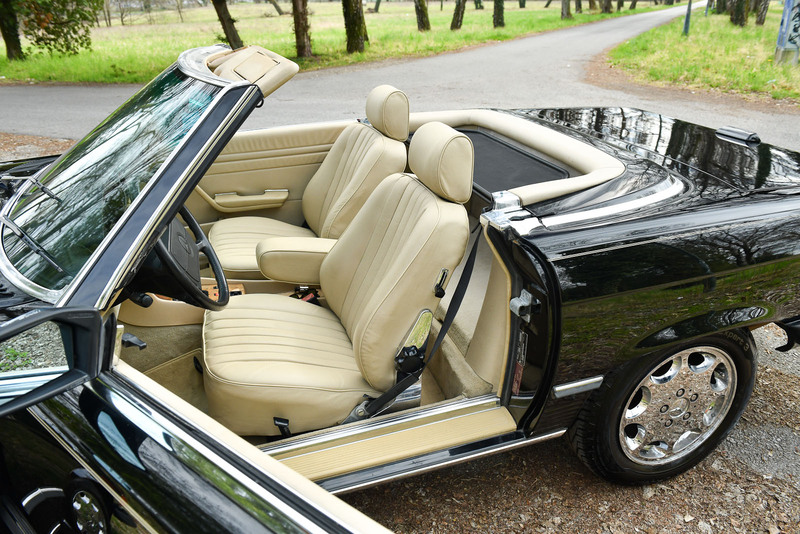 The increased power required both an improved rear suspension and a limited-slip differential which were added to the 560 SL model. 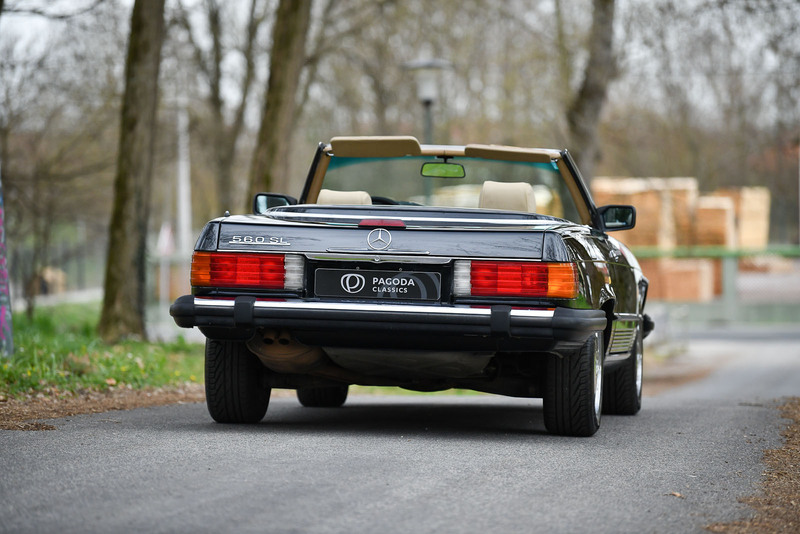 In addition to performance, the 560 SL offered a level of safety and luxury fitting the Mercedes-Benz nameplate. 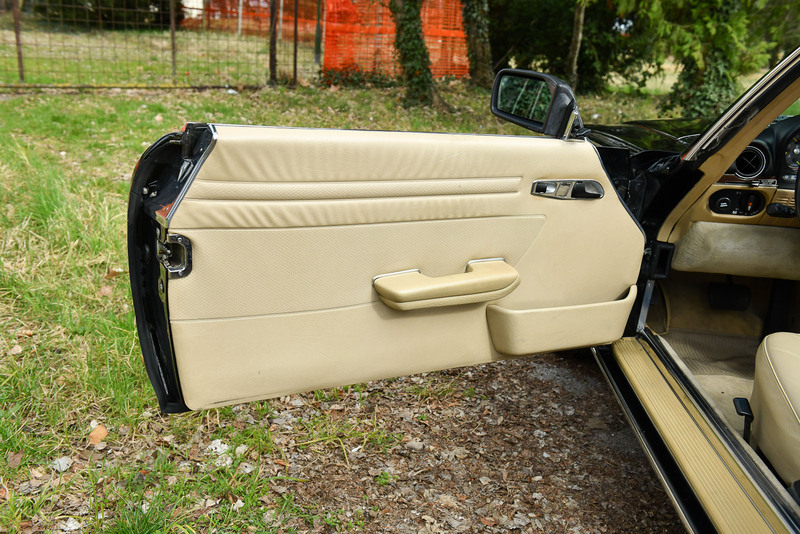 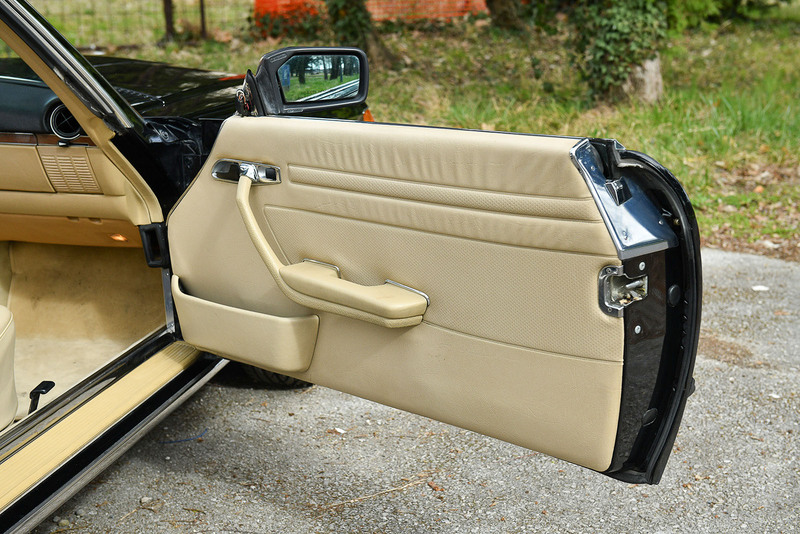 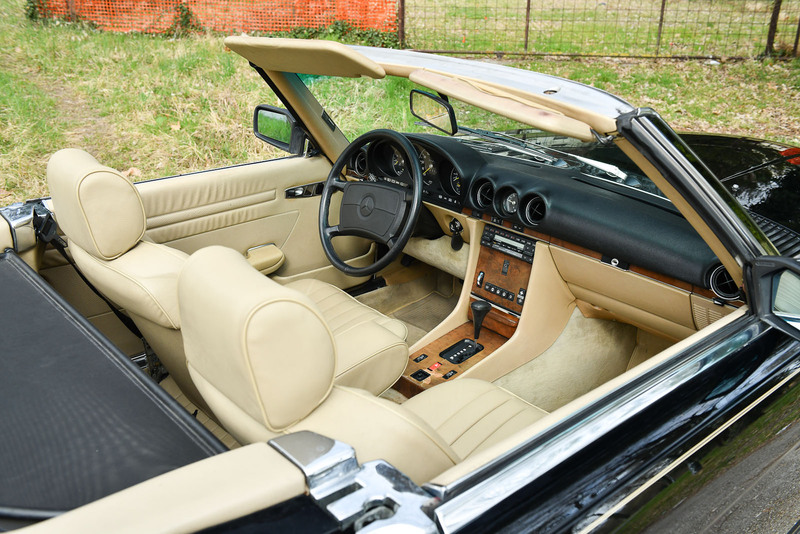 It came standard with anti-lock brakes, leather upholstery, an alarm system, and an airbag. 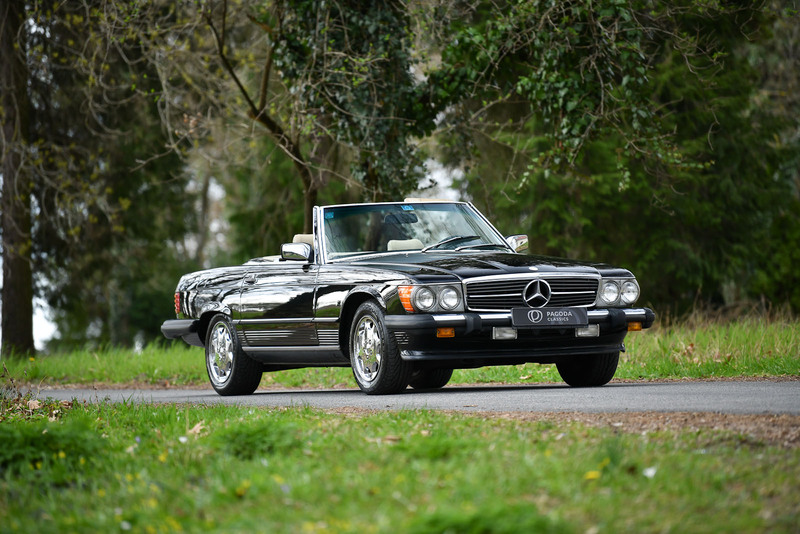 These features did not come cheaply, as the 560 SL had a retail price in excess of $48,000. 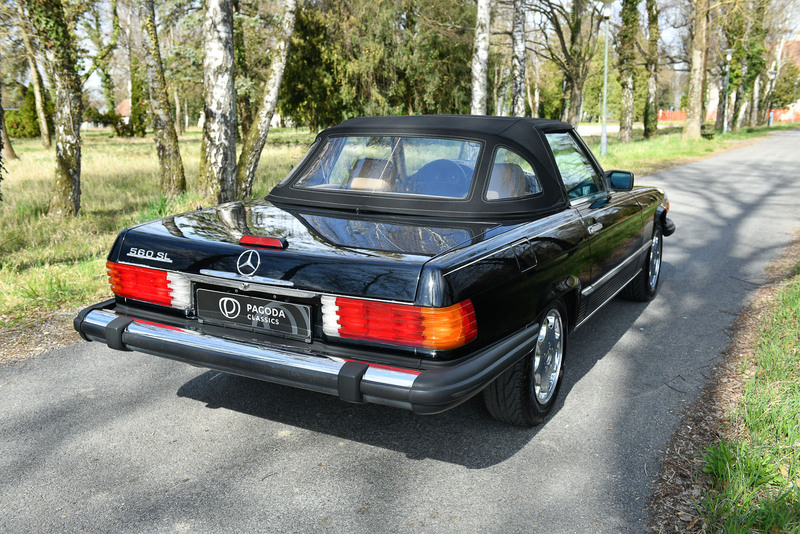 This hefty figure did not deter many potential buyers, and the 560 SL proved to be one of the best-selling Mercedes-Benzes of the late ’80s, with average annual sales exceeding 12,000 cars. 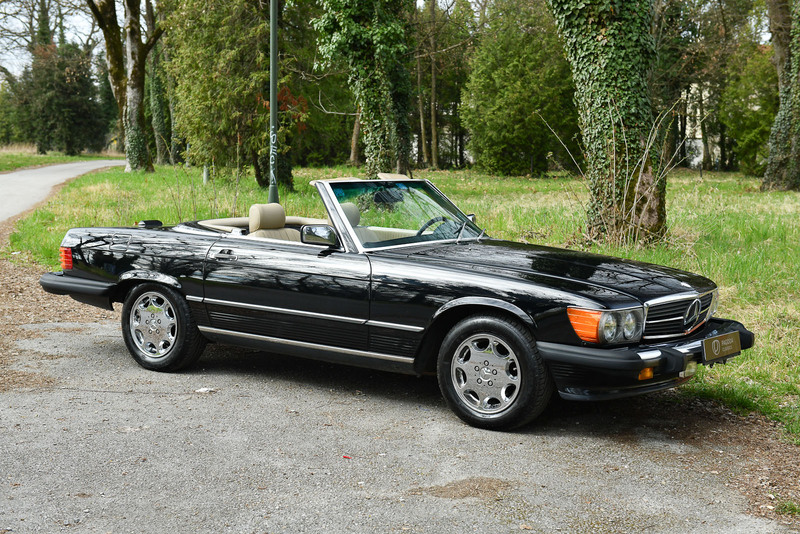 Also, the 560 SL is a favorit car in Hollywood movies. 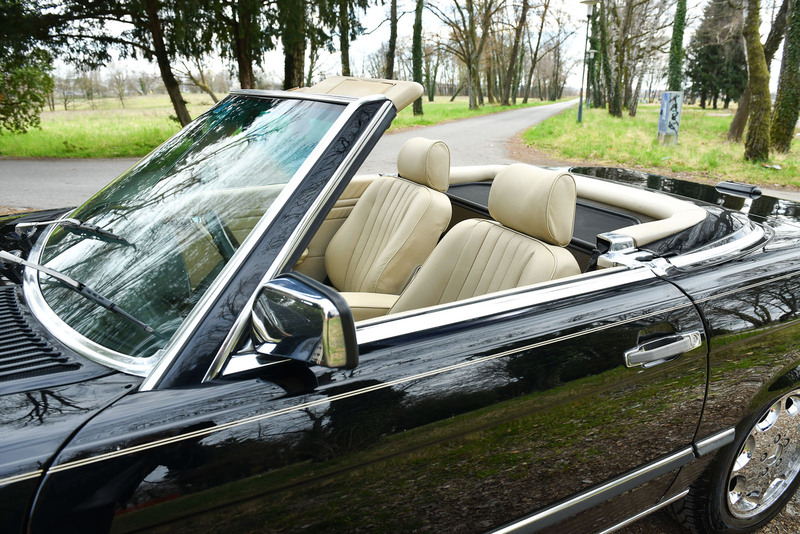 Among the films it has appeared in are Beverly Hills Cop II, Me, Myself and Irene, Cadillac Man, and the 2011 comedy Take Me Home Tonight. 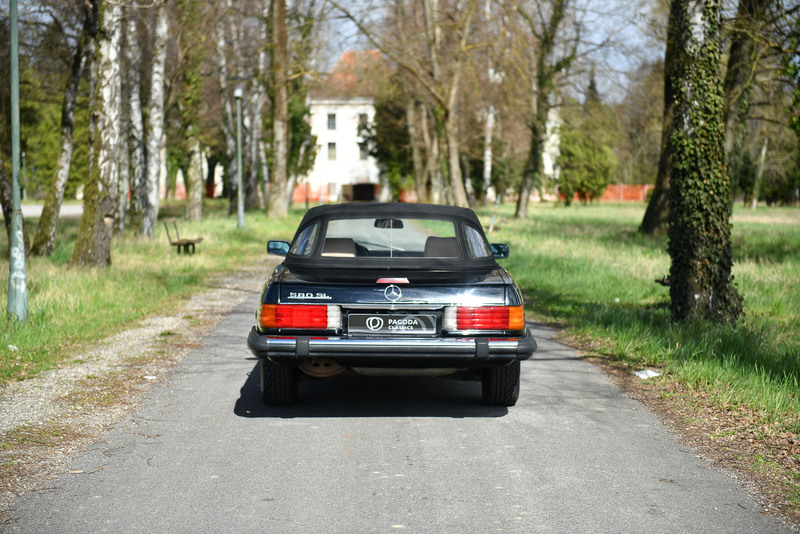 The 560 SL is in full option, without rust, and with original paint. 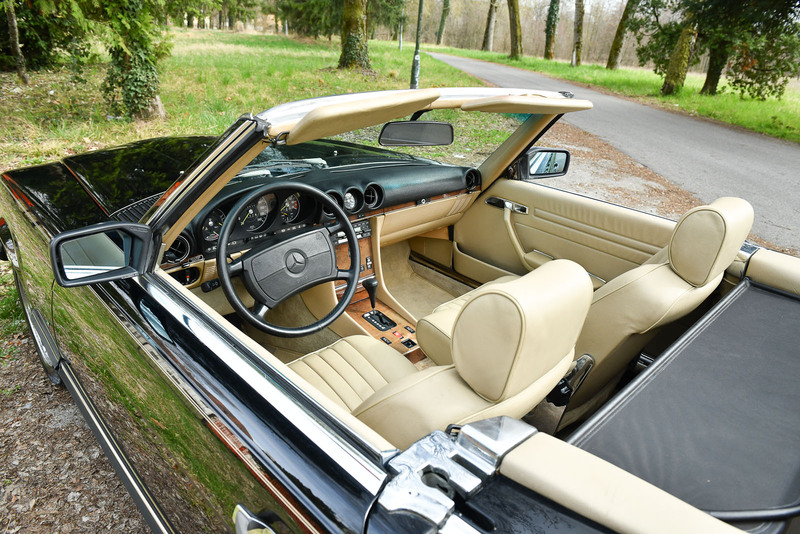 The car was imported from California and had only one owner. 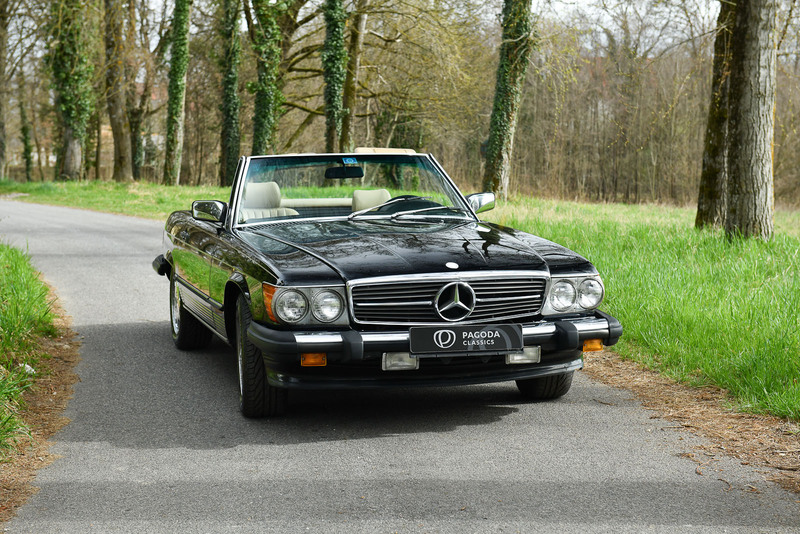 First registration in Europe was 2014 and every each service is known – full service history. 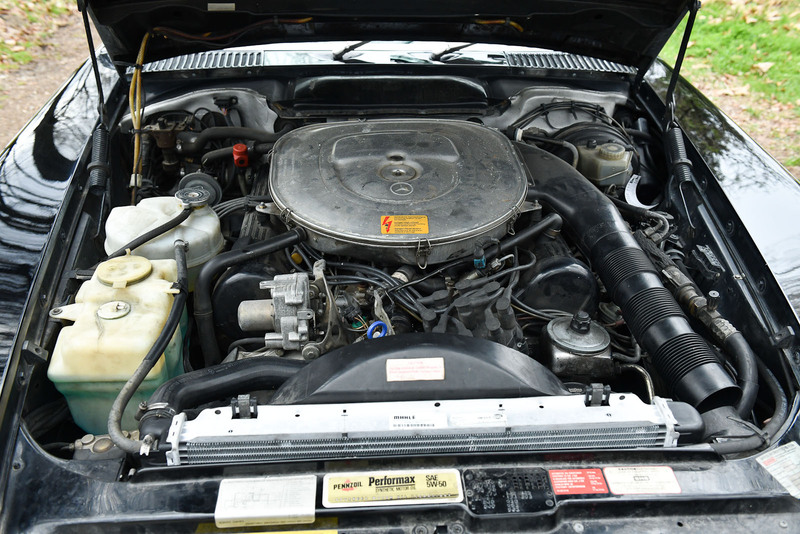 Car is in great condition and technically perfect. 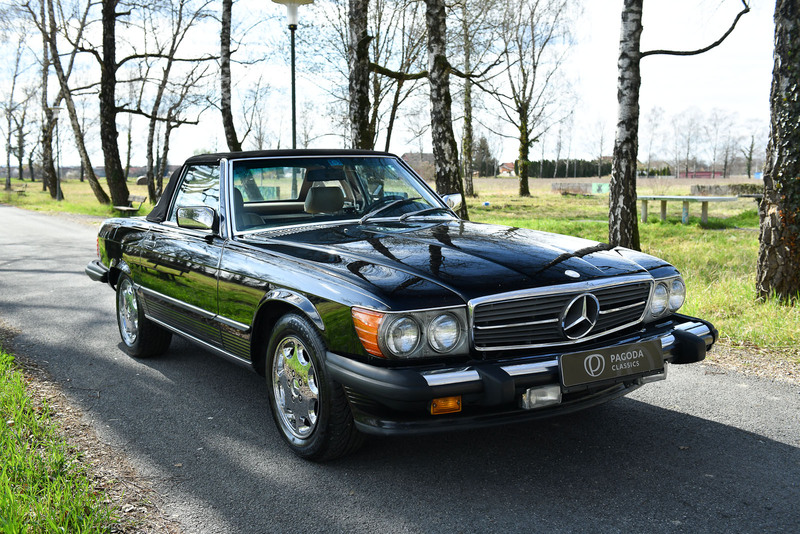 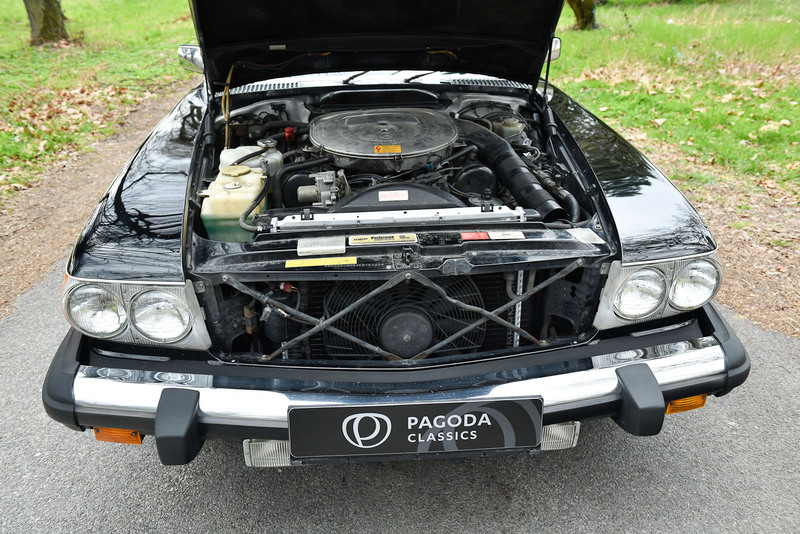 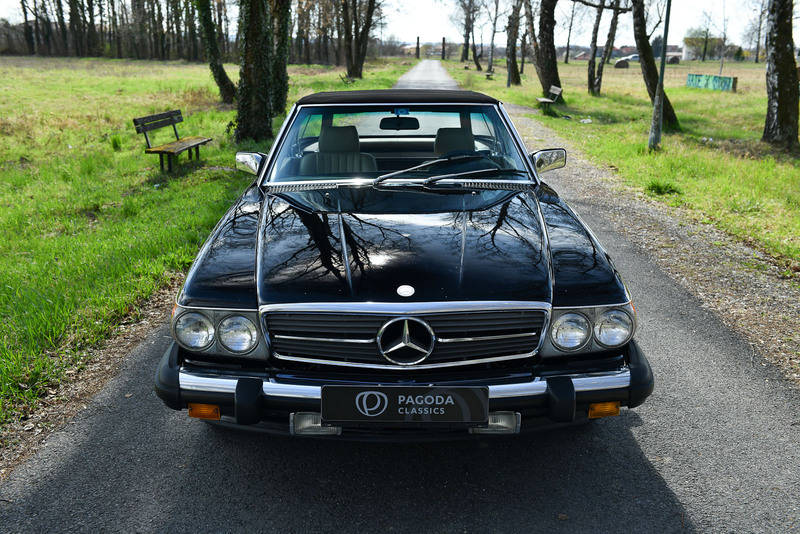 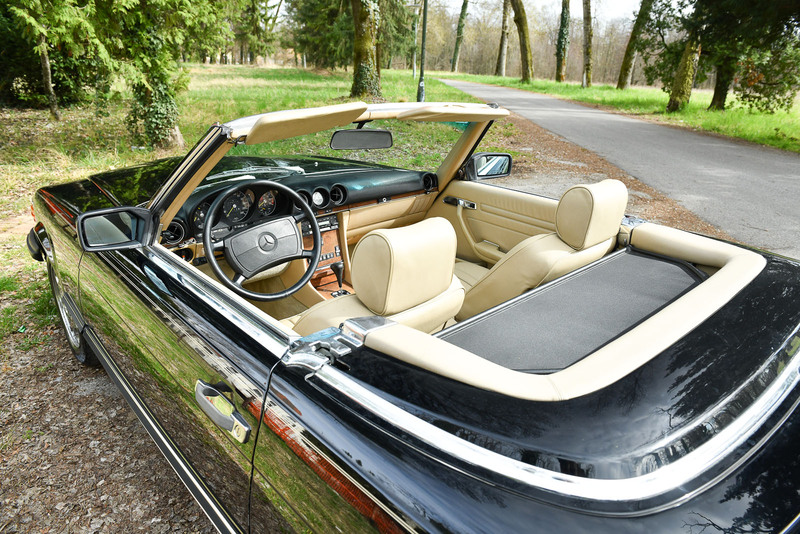 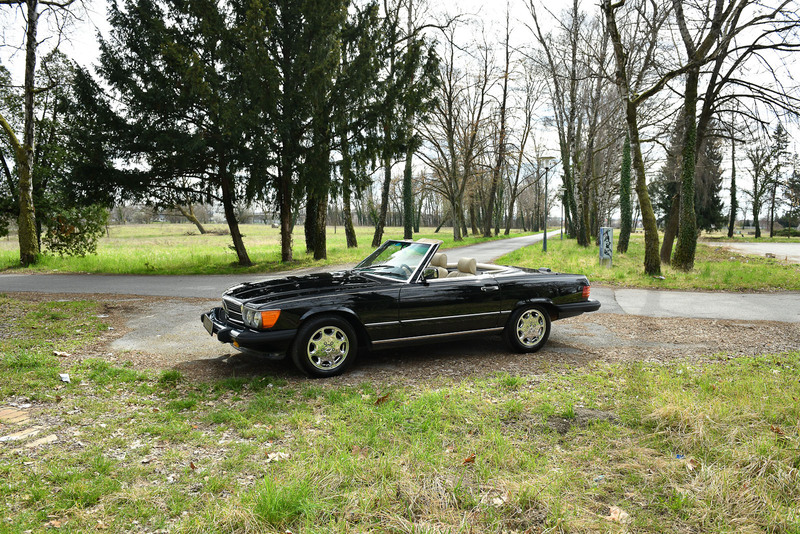 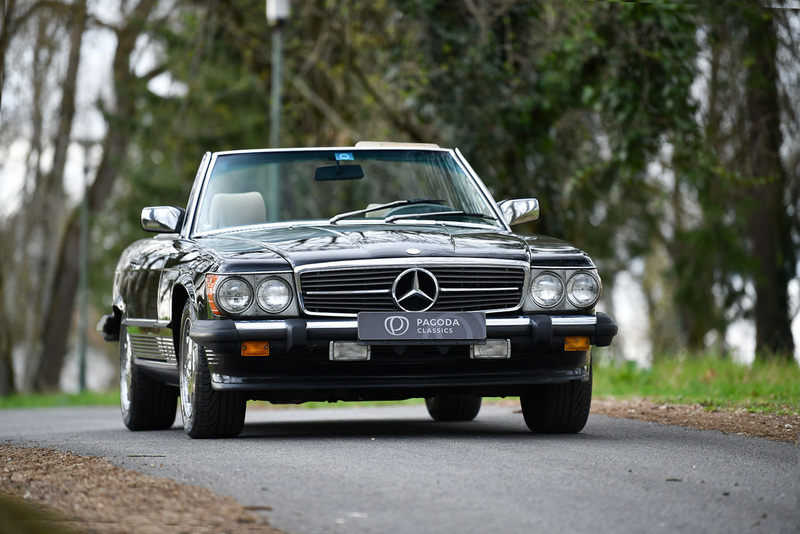 Interested in Mercedes-Benz 560 SL 1988?